CheckMySystems Ltd - the CCTV health and operation monitoring software specialist – announces a partnership deal with retail security provider CSG UK PLC. The move is designed to dramatically expand the take-up of the company's industry-leading CheckMyCCTV automatic fault-finding solution to several hundred high street outlets operated by some of CSG's major clients. 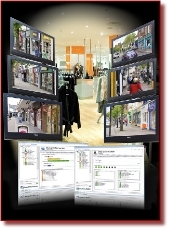 Initial trials, and orders, suggest that retailers are keen to adopt CheckMyCCTV, as part of their CCTV maintenance strategy, given the pressing need to ensure that their remotely dispersed CCTV systems are operating correctly at all times, across multiple outlets, especially as security managers and profit protection officers look to tackle high levels of shoplifting and other criminal activity. Retailers certainly do not want to be in a position where they have to provide evidence for a prosecution only to find that it has not been recorded, a camera was out of action, or the time setting was not correct. From the perspective of security specialist CSG, offering CheckMyCCTV as a solution to their retail customer base will allow them to provide service levels, above and beyond, that which they could otherwise deliver through more traditional scheduled maintenance visits. Crucially, valuable time and resource will no longer be tied down attending sites where there may not actually be a surveillance issue. Now CSG's engineers can be directed to where the CheckMyCCTV software, through automatic remote health and operation monitoring, has flagged-up a problem which needs to be rectified, whether it be a camera failure or recording issue. Said Darren Rewston, Managing Director at CheckMySystems Ltd: "We are delighted to be working in partnership with CSG to unlock the full potential of our CheckMyCCTV health and operation monitoring software solution in the UK retail sector. We have started to collaborate on a number of major projects and believe that this relationship will prove to be mutually beneficial. CSG can now detect customer CCTV issues at a much earlier stage, enhancing service levels, whilst, thanks to their expertise, we are able to gain access to a much larger customer base than would otherwise have been possible. 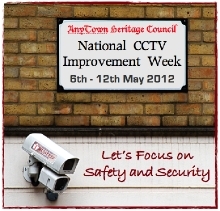 "Already, we are beginning to see concrete results as CheckMyCCTV is rolled out at a national level across a number of big name retailers thanks to CSG's efforts, from coffee shop chains to discount stores, and we expect that the total number of sites covered in this area alone will reach over 1,000 in the next few months, with many more in the pipeline." Commented Graham Chandler, Group Managing Director at CSG UK PLC: "Being able to offer CheckMyCCTV certainly makes sense for us and has transformed the way we look after the health of our client's CCTV infrastructure. We can now undertake our maintenance activity in a much more directed and efficient way, and cover a greater number of sites, with the same manpower. A key point with the software is that although it applies sophisticated analytical techniques it is actually very straightforward to use. For example the on-screen traffic light warning system means that any issues on a client's site are immediately visible around the clock. Status alerts can even be viewed on smart phones or via a web browser. "Moving ahead, as CheckMySystems continues to expand the number of video surveillance brands their CheckMyCCTV software is compatible with, we anticipate that more and more of the retailers CSG looks after will buy into this state-of-the-art solution."